Jesus is teaching in the temple during the time of the Feast of the Tabernacles (Booths) and begins to speak of Himself in saying, “I Am the Light of the World.” He is claiming to be the “I AM” from Exodus 3:13-15. Levitical law says to pick up a stone and kill Him (Leviticus 24”10-16). Jesus is connecting Himself to God the Father and tells them, “Whoever follows me will not live in darkness, but will have the light of life” (John 8:12). John’s focus is on faith and spiritual slavery. Whoever practices sin is in slavery to sin, the sin of unbelief. 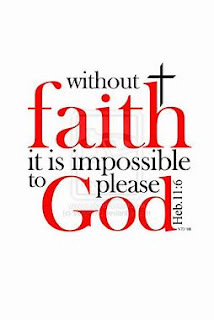 “And without faith it is impossible to please him, for whoever would draw near to God must believe that he exists and that he rewards those who seek him”(Hebrews 11:6). “I told you that you would die in your sins, for unless you believe that I am he you will die in your sins” (John 8:24). Once one puts their faith in Jesus Christ all of sins power is broken. Jesus accuses the Pharisees of being children of the devil (John 8:42-47). He tells them that the reason why they don’t hear what He is saying is because they are not of God. The Pharisees could not bring themselves to faith. Believing the lies of Satan blinds us to the truth of the Gospel (Ephesians 2:1-3). To obey the words of Christ in John 8 is to put one’s faith in Christ. Our hope in salvation does not rest in our faithfulness but in His faithfulness alone. We are saved because Jesus saves us. 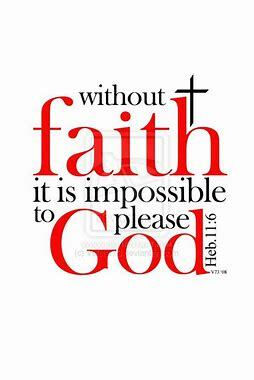 Lord, thank You for faith.